Fanny Rysam Mulford Hitchcock was born on November 7, 1851, to Julius and Elizabeth Hitchcock. 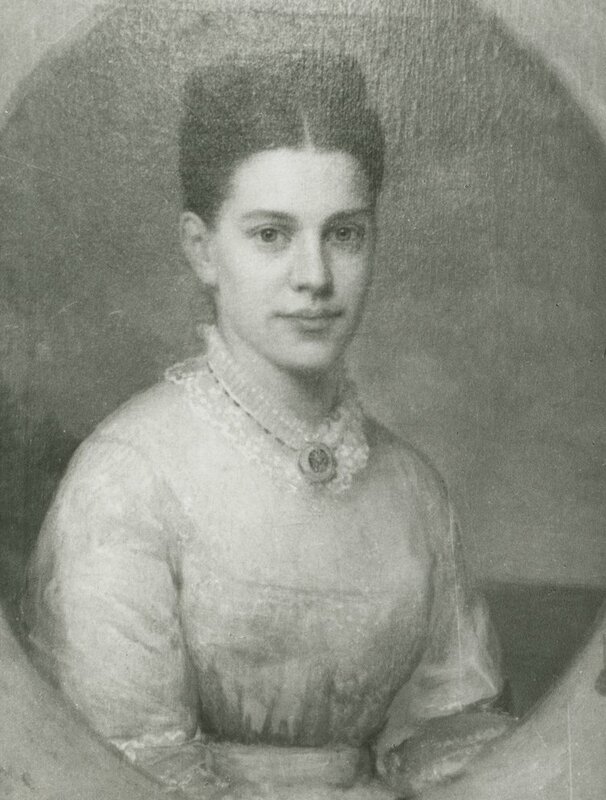 She entered the University of Pennsylvania in 1890 as an undergraduate student in biology, but switched in the fall of 1891 to the Graduate School of Arts and Sciences. Hitchcock was a member of the Kappa Kappa Gamma sorority and the Sigma Xi scientific research society during her time at Penn. Upon graduating in 1894, she became the first woman to receive a Doctor of Philosophy in Chemistry from the University. Hitchcock completed post-graduate work in chemistry at the University of Berlin before being elected by the trustees of the University of Pennsylvania to the Board of Managers of the Graduate Department for Women in October 1897. The following year Hitchcock became Penn’s first Director of Women Students. Hitchcock maintained a well-equipped scientific laboratory in her home in Philadelphia for many years and was the author of articles in various scientific publications. She was a fellow of the New York Academy of Science and the American Association for the Advancement of Science. Hitchcock showed continued interest in the women of the University of Pennsylvania, making several gifts throughout her lifetime, including the donation of some of the contents of her lab in 1921 “to eventually become a part of a ‘women’s fund’ or a ‘women’s college’ if such fund or college is ever established by the trustees of the University of Pennsylvania.” She was also known to have paid the expenses of numerous deserving students whose financial circumstances would otherwise have prevented them from attending college. Hitchcock moved to Warwick, New York, in 1923, where she lived until her death in 1936.